Christmas school holidays and the days are just flying past. but boy are we still busy. I took Sibs and a friend to a place called Reverse Garbage last week and they were given $10 to spend with the instruction of "use your imagination". 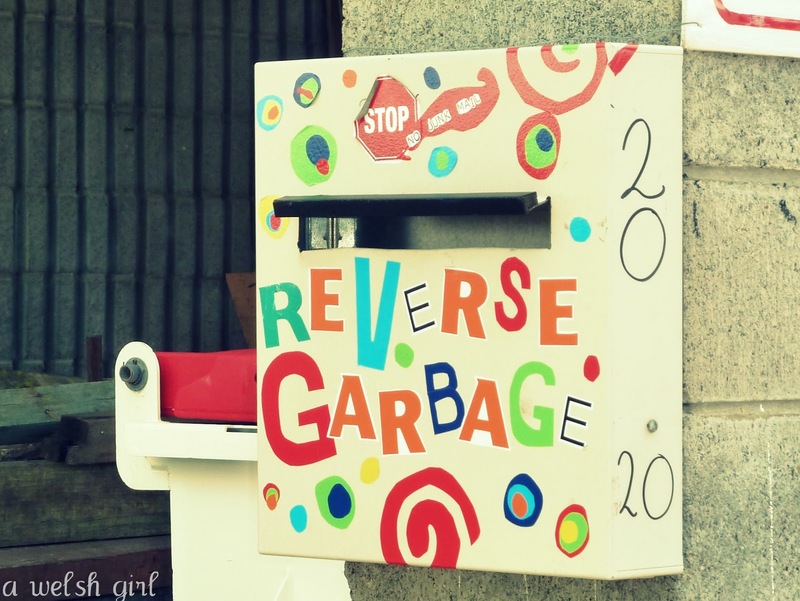 Reverse Garbage is a recycling place in Woolloongabba, Brisbane where you can pick up all sorts of things for next to nothing, and it's great for craft activities. They have boxes of small stuff, different fabrics and cut offs and one off unusual items like a clothes mannequin. The girls (and I) had a great time rummaging around looking for inspiration. During school holidays they also offer craft activities for children but we weren't there on one of those days so we filled a basket and came home with our goodies. I spotted these ink cartridges in a box and scooped them up double quick. I haven't used my ink pen in years! 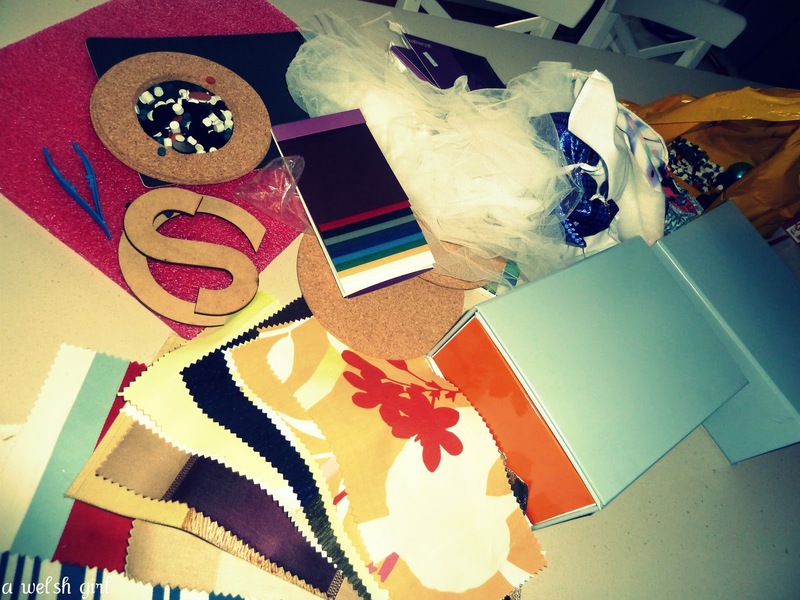 Here's some of our loot! A few hours later we had covered some boxes in coloured contact, painted some wooden letters, cut things out, glued and decorated and made one jewellery case and a miniature house. No rules, no instructions, just imagination to re-use whatever was in front of them. Tonight we have a grown ups dinner party in this house, so best be off to tidy up! I spy some gorgeous old books! 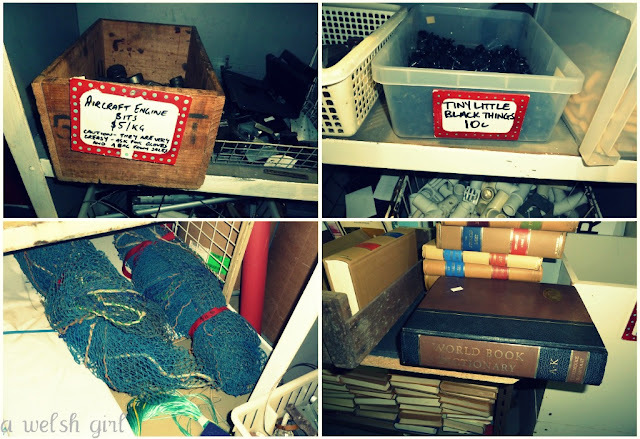 I love places like this and could spend hours sifting through all the treasure. Reminds me of a gift my young son received one Christmas, a package of clean recycled craft pieces that kept him amused for months. Enjoy the grown-ups dinner party. Great loot! 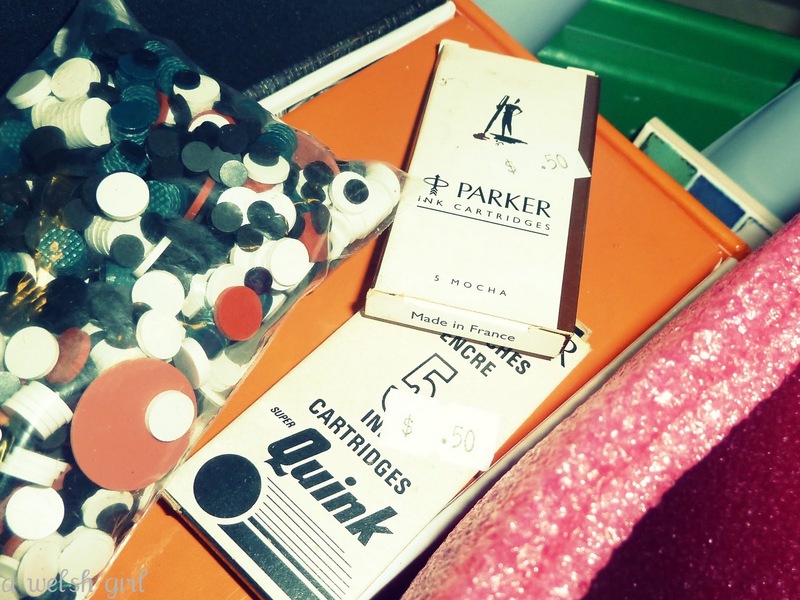 My mum always used Quink Ink in her fountain pen. Merry Christmas to you and your household, I'll be back next year...late January, until then enjoy your holidays. What a fun place to be let loose to explore. Have a good Christmas yourself and I look forward to following you in 2012.